Mike, my sports psychologist, would hold his hands together, palms facing, and then pull them away from each other, gesturing a growing distance. “This is the goal,” he’d say. I’d smile and nod, thinking, no problem. What he was referring to was the gap between my identity as myself and my identity as Kaya the skier. Well, at least we’d graduated from the palms squished, interlocking fingers, right? It always surprises me when people describe me as impenetrable, fearless. But those close to me know I have a strong tendency towards anxiety. From the age of nine, sport had always been my escape into a dream world, one in which I could express myself. I lived for sport; I ate, slept and trained to succeed in it. I visualized, journaled and meditated, all so I could be better. By my mid 20s, I had had a very successful career in both rollerblading and skiing, and had been dubbed “the queen of slopestyle.” X Games was the pinnacle event for our sport and I was proud to have claimed its top spot several times, something that had always been a dream of mine. Then, when our sport was included in the 2014 Olympics, I set my sights on another massive goal. In 2013, heading into the Olympic year, life appeared glamorous on the surface, with wins at prestigious events like the X Games and the world championships. Yet I was anxious and struggling with different aspects of my life: ongoing physical ailments, unsettled feelings of loneliness on the road, and dealing with the pressures of maintaining my success heading into an important year. I was completely upside down. 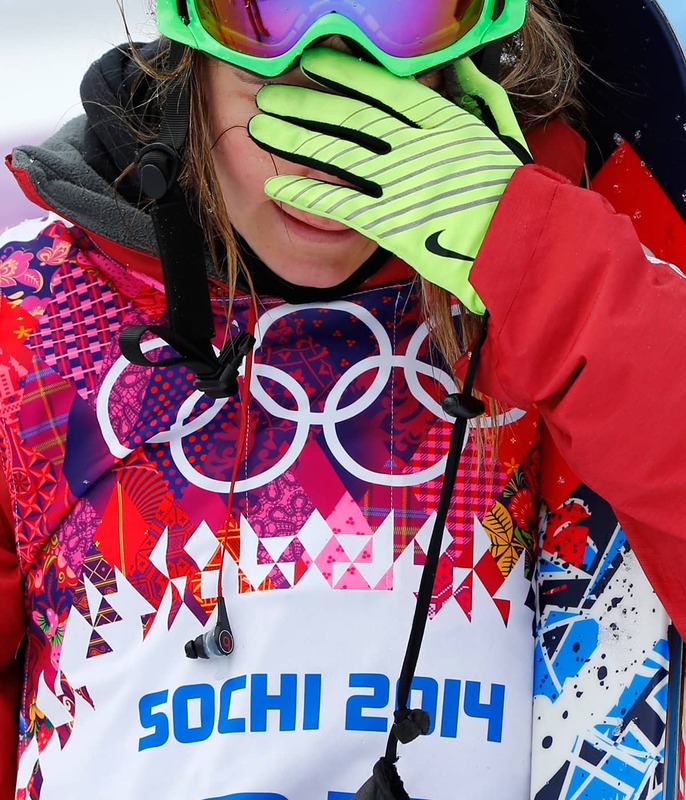 Turski opens up to CBC Sports about her struggles with chronic headaches. Not long after things started to settle that summer, upon landing awkwardly on a training jump, I felt the all-too-familiar feeling of my ACL in my knee snapping in half. In that moment, I entered the realm of my third extensive knee reconstruction and a rehabilitation process I had known to be nine to 12 months — with only six months left to the Olympics. Was it even possible to make it? Desperate to achieve my dream, “no” was not an answer I accepted. I sought out the best doctors and, armed with a brand new experimental synthetic ACL, I dove into rehab to accomplish what seemed previously unimaginable. Five months post-op, two weeks before the Olympics, I stood atop the X-Games podium for the eighth time in my career — “Turski defies all odds.” And with that, it seemed as though the whirlwind I had been through and its impossible difficulties had been erased. I was back in position as the gold-medal favorite, a familiar yet unsettling position. The week leading into the Olympics felt like a perfect storm. Simply put, I began to unravel under massive stress over things I could not control. A mean virus I caught en route to Europe, my resulting quarantine and complete lack of human contact, a shoulder dislocation and a bad knee bobble in harsh training conditions threw me into unshakeable doubt that I didn’t belong on that course. Friends would offer their assurances in my desperation for any help of solace. After all, they’d say, you always get it together. I remember how uneasy those words made me feel. But what if I didn’t? I longed to hear that, regardless of the outcome, I would be okay. Because for the first time in my life, no matter how hard I tried, I couldn’t seem to convince myself that I had it in me. I dislocated my shoulder again in my first qualification run and didn’t finish my second, and just like that, in a matter of moments, the Olympic experience I’d held onto so tightly slipped out of my hands. As I sat out for the finals (a first in my athletic career), I stared down at one of the many notes I’d scribbled on my jacket sleeve, “no moment defines me”… What I would have done then to believe those words. I felt that I had completely failed my family, my sponsors, my country and myself. And I couldn’t wait to disappear. In a society in which we place so much value on our profession, it’s no wonder our identities are intricately tied to what we do. For the first 25 years of my life, I saw my value as a person directly linked to my success in sport, fed by big-time wins. And although I had been working on redefining that very notion, I hadn’t yet been forced to live it. In the months after the Olympics, I sunk into a depression, withdrawing from others and barely leaving the house. Feeling physically unstable, I went through surgery to stabilize both my knee and shoulder — at the same time. The subsequent rehab was especially difficult and pulled me further away from any grounded sense of self I had had. The way I saw it, my previous accolades had been completely erased by my failed attempt at the Olympics, and my self-worth plummeted. Slowly, however, I emerged. I ventured out to the local coffee shop, simply so I could be around people. I enrolled in classes at school and began to further my education — it felt great to start building an identity and future outside of sport. I reached out to friends, and began making new ones. I became active again, discovering new challenges. It took me almost two years to forgive myself for not having overcome what I now recognize to be very difficult circumstances. I learned that growth is often tied to adversity. I learned to reach out when in a dark space, and discovered who would share their strength with me, for me. I learned to surrender to the things I cannot control, and that my body and heart could heal. I learned to love myself not for my successes, but for characteristics fundamental to myself like my honesty, determination, and creativity. The universe has an interesting way of operating. I thought I had had it all, but it took losing grasp of a dream and shattering my heart in front of millions of people to truly begin the process of confronting myself. I have learned to trust the process — I can now authentically say I am a stronger and more enlightened person for the experience. I am grateful.